It did not take long after high caffeine content energy drinks hit the market for people to begin mixing them with alcohol, and not long after that for healthcare officials to become concerned about the risks. After the Substance Abuse and Mental Health Services Administration reported in 2011 that emergency room department visits involving alcohol mixed with energy drinks had increased 10-fold in the past five years, researchers began to look at the safety of alcohol-energy drinks. One study found that teens who consumed alcohol mixed with energy drinkers were four times more likely to develop alcohol use disorders. 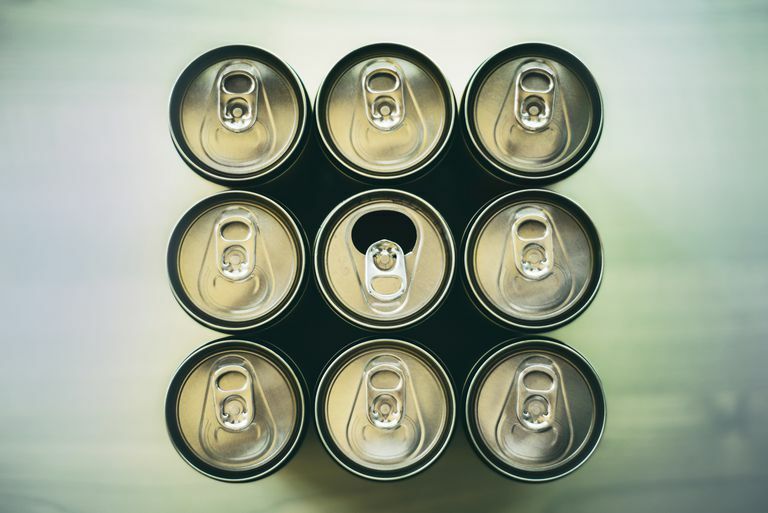 Marczinski and colleagues of the Department of Psychological Science at Northern Kentucky University have conducted several studies into the effects of mixing energy drinks and alcohol. They found that the practice is particularly popular among young and underage drinkers. The researchers found that, compared to alcohol alone, consuming alcohol mixed with high-caffeine drinks was associated with increased rates of binge drinking, impaired driving, risky sexual behavior, and risk of alcohol dependence. Another study of 652 college students at the University of Michigan Institute for Social Research found that energy drink users drink more heavily and become more intoxicated on days they used both energy drinks and alcohol compared to alcohol-only days. The study found that college students who mixed energy drinks with alcohol were more likely to have blackouts, suffer alcohol poisoning, and engage in risky behavior. Obviously, scientists have not yet discovered exactly how mixing alcohol with energy drinks affects the drinker, but the research is more definite on the dangers involved. A comprehensive review of 62 scientific studies on mixing alcohol with energy drinks found that young adults who mixed the two drank more alcohol and experienced more alcohol-related harm than those who drank alcohol alone. Any of the above could be factors in contributing to increased alcohol consumption in those who mix alcohol and energy drinks. The review also found that mixing alcohol and energy drinks did not change blood alcohol content, perceived intoxication, perceived impairment or actual impairment. McKetin's review noted that studies sponsored by the energy drink industry tended to draw contrary conclusions. She suggested that industry involvement in energy drink research should be closely monitored. You should be cautious yourself. When reading on the topic, investigate the source to be sure that it's credible and accurately reports information. Will Mixing Increase Desire for More Alcohol? One major area of disagreement among researchers is whether or not the use of energy-drink mixers increase the drinker's desire for more alcohol. Marczinski has published two experimental studies that found that caffeine increases the rewarding and reinforcing properties of alcohol, as animal studies previously found. In one study, Marczinski's researchers found that alcohol alone increased the subjective desire for more alcohol in the participants, but alcohol mixed with energy drinks "increased desire for more alcohol ratings beyond that observed with alcohol alone." Another Marczinski experiment involving college-age drinkers found that mixing energy drinks with alcohol increased the students' motivation for more alcohol. Again, the experiment found that by adding energy drink mix to alcohol increased the priming effect on the desire for more alcohol beyond the level that of alcohol alone. On top of increasing the desire for more alcohol, energy drinks mixed with alcohol may also contribute to the dangers and risks for drinkers by impairing their behavior control. The mixture was found to produce increased inhibitory failures compared to alcohol alone while at the same time enhancing stimulation, another Marczinski study found. "Impaired behavioral inhibition and enhanced stimulation is a combination that may make alcohol mixed with energy drinks consumption riskier than alcohol consumption alone," the researchers concluded. Other researchers, however, have found that the presence of energy drinks in the mix has a very little actual effect on the drinker except in their perception of their level of intoxication. Peacock and colleagues at the School of Psychology, University of Tasmania, in Australia found that the effect of alcohol mixed with energy drinks was restricted to perceived stimulation while the presence of energy drinks had no effect on perceived intoxication. The Peacock study did find that risk-taking was increased only in the participants who used energy drink mixers, but the effect "was only of small magnitude." Another study conducted by Benson and colleagues at the Centre for Human Psychopharmacology, Swinburne University of Technology, Melbourne, Australia found no difference in blood alcohol content and subjective intoxication between groups that drank alcohol only and those who mixed alcohol with energy drinks. The energy drinks—containing 80mg of caffeine—did increase self-reported "vigor" and "contentment" after 45 minutes, but decreased contentment at 180 minutes, Benson found. In addition to the risks of mixing alcohol with energy drinks, there are the health risks involved with the energy drinks themselves, especially among young people. A survey of 8,210 high school students found that nearly two-thirds of them reporting the past-year use of energy drinks and 20% consumed them at least once a month. In November 2010, the U.S. Food and Drug Administration (FDA) warned several companies that their pre-mixed energy drinks containing alcohol were considered unsafe, saying "there is evidence that the combinations of caffeine and alcohol in these products pose a public health concern." The agency threatened to remove their malt liquor products containing caffeine from the market, virtually creating a ban on alcohol energy drinks. Although manufacturers are prohibited from marketing pre-mixed alcohol energy drinks, there is nothing keeping people from buying the energy drinks and mixing it with alcohol themselves. There is no law against it, but that doesn't mean it's a wise choice. If the FDA stopped manufacturers from selling energy drinks with alcohol because of the health risks, it is probably not a good idea to mix the two yourself. The problem with these drinks is that the caffeine in them masks the effects of the alcohol but does not reduce alcohol's impairment effects. Therefore, you can end up more intoxicated and more impaired than you feel like you are, or think you are. This is a dangerous combination which can lead to accidents and injury as well as risky behavior. Also, if you are underage and you are regularly drinking alcohol mixed with energy drinks, your risk of developing an alcohol use disorder is significantly higher than young people who drink alcohol only. Regardless of any peer pressure, what others are doing, or what you think may be a good idea, use common sense and practice safe habits to benefit yourself and your health. Benson, S, et al. "Effects of alcohol and energy drink on mood and subjective intoxication: a double-blind, placebo-controlled, crossover study." July 2014. Marczinski CA, et al. "Energy drinks mixed with alcohol: what are the risks?" Nutrition Reviews October 2014. Marczinski, CA, et al. "Desire to Drink Alcohol is Enhanced with High-Caffeine Energy Drink Mixers." Alcoholism: Clinical & Experimental Research 15 July 2016. McKetin R, et al. "A comprehensive review of the effects of mixing caffeinated energy drinks with alcohol." Drug and Alcohol Dependence June 2015. Peacock A, et al. "The impact of alcohol and energy drink consumption on intoxication and risk-taking behavior." Alcoholism: Clinical & Experimental Research July 2013.